Many of us are familiar with reduce, reuse, and recycle. You reduce your contribution to the landfills by reducing the amount of packaged products that you purchase, recycling those materials you can, and reusing those that can be used again. 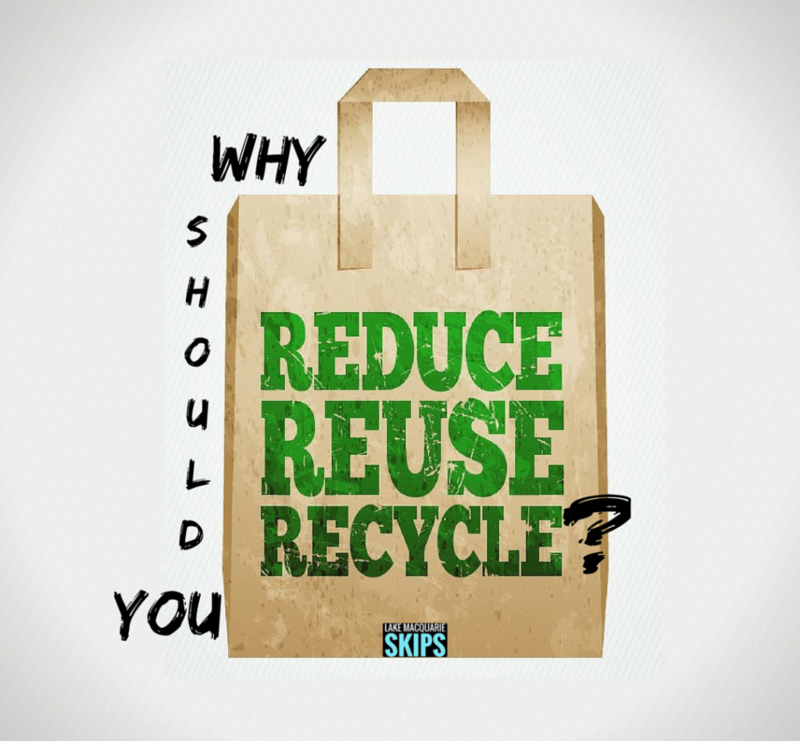 But why is there a need to reduce, recycle, and reuse – have you ever asked? Read on to gain additional insight. Based on figures from the Australian Bureau of Statistics, around two tonnes of waste are generated by every Australian each year. These wastes are a mixture of household and industrial garbage created by things that we buy or use. If we minimise waste through reducing, reusing, and recycling, statistics show that we can cut waste by up to 50 percent. If the packaging of the things that we buy is not recycled or reused in some way, it goes to the landfill. Rubbish that is thrown in the landfill takes up space and causes water and soil contamination, not to mention the production of methane. Also, natural resources like water, timber, and oil are lost when something is thrown away, in addition to the energy and time that are used to make a product. Many of these resources are not renewable and therefore cannot be replaced. This cannot go on indefinitely, otherwise, the natural resources will be depleted. Lastly, reducing wastes means a reduction in litter. Remember that the small candy wrapper that gets dropped on the ground can find its way to beaches, waterways, playgrounds, and parks. You can reduce waste by avoiding it in the first place. Buy the product and not its packaging. Refuse to purchase products that use excessive materials for packaging. Look for biodegradable packaging, like cardboards or corn starch-based containers. Use reusable shopping bags. Replace your plastic shopping bags with reusable ones and bring them whenever you go shopping. Carry your own water bottles and take-away cups and carry lunches in reusable containers rather than using disposable wrappings. Recycle all materials if possible. Call your local council to find out if there are recycling facilities locally. Also, buy and use recycled products. Even though we know the importance of the three R’s of waste management, there are times when we don’t really know how to start applying them. Let your Lake Macquarie skip bins experts assist you with your waste management. Lake Macquarie Skips, your locally owned and operated waste removal company, has been operating for over 16 years in the Newcastle, Lake Macquarie, Port Stephens, Hunter Valley, and Central Coast areas. We provide inexpensive but quality skip bin hire to help you get started with your waste management. For enquiries, contact us for an obligation-free quote. We serve Lake Macquarie and the rest of the Hunter Valley region.